On the eve of Valentine’s Day, I came home to a bouquet of flowers from my husband. Like a teenager, I did not know how to react when I saw it, so I just smiled shyly and murmured my thanks to the man who has been by my side for almost twenty years. 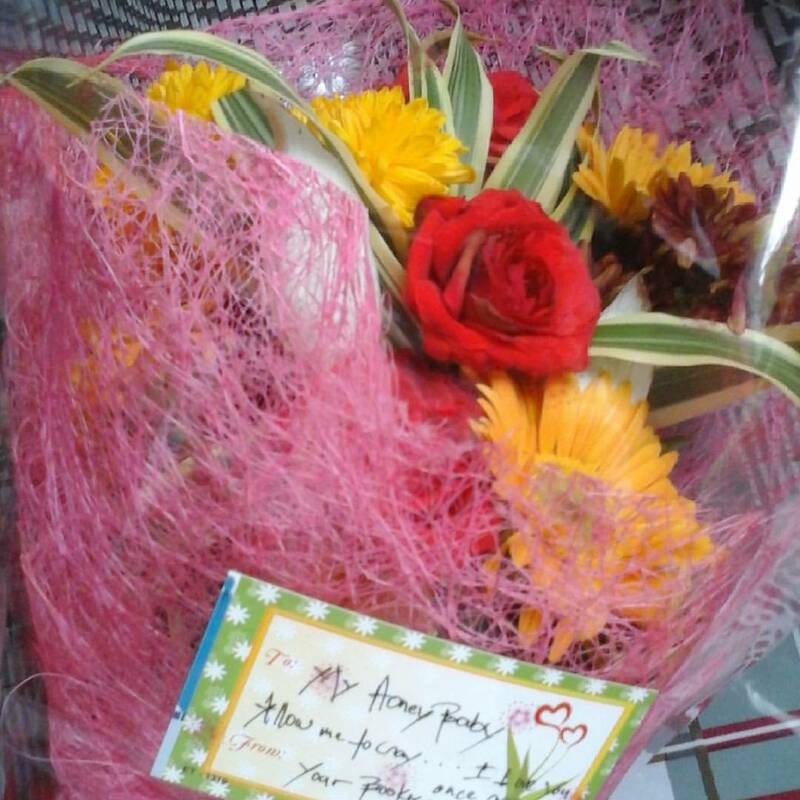 This was the first time he has ever given me a bouquet since he became my boyfriend in 1996. I remember that he gave me single pink rose days after we got married, but he has never given me a bunch of artfully arranged blooms. It may not have been made up of my favourite pink roses or lilies or daisies or tulips, but it really touched my heart. If you ask my why this is so, then my answer is very simple. It is because my husband has made an effort to surprise me with something I have given up on ever receiving from him. I love surprises as much as I love flowers. They make me giddy with glee. So, you can just imagine how totally crazy I am about such occasions as anniversaries, birthdays, Valentine’s and Christmas. And, because I am basically very easy to please, it is not very hard to give me surprises. A book, a chocolate bar or a stuffed animal will already send me to the stratosphere with joy. However, my husband is not really big on surprises. He asks me what book I want when he’d buy one for me as a gift. He’d let me choose which stuffed animal I’d prefer or which chocolate brand I’d like. Even if I have been haranguing him for like, forever, about wanting to receive a bouquet of flowers, he has not given me one, until now and because he’s a big bear of a guy, I am really touched. As a result, I decided to cook something special for our Valentine’s Day lunch. So, after a breakfast of a banana and a boiled egg for me and some fried eggs with sumptuously soft cream bread fresh from the bakery oven for my hubby, we headed to the wet market to see what would be best for the special day. 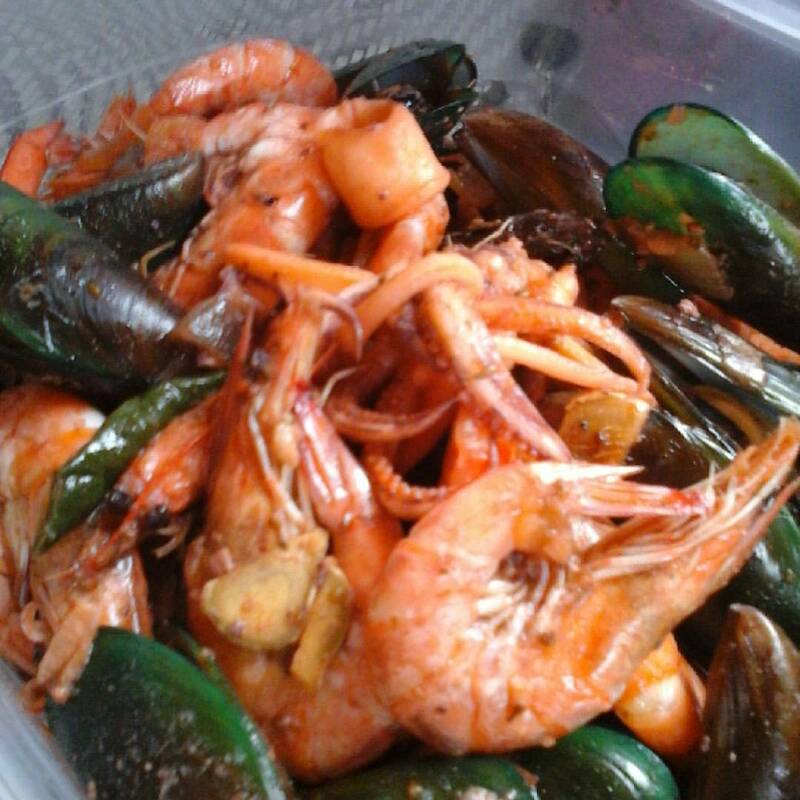 From all the bounty we saw at the market, I settled for some mussels, squid and shrimps, which I decided to cook into my own mixed seafood version, aptly named as Leigh’s Seafood Medley. 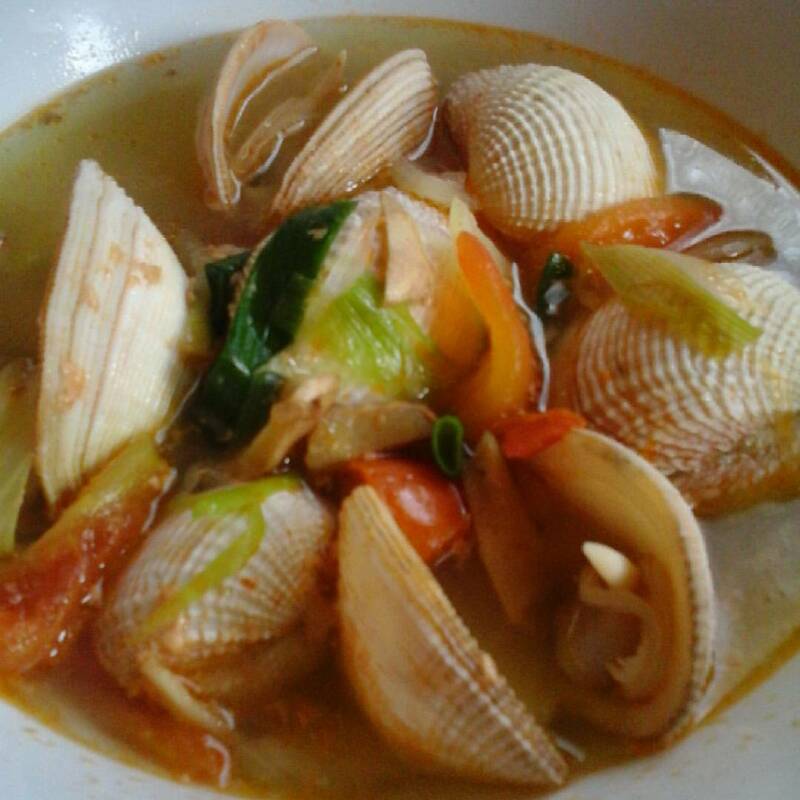 Sticking to my seafood vibes, my husband also bought some seashells and made a delicious soup out of them. I cook, he cooks. We make a really good pair in the kitchen. Because the kids were at my parents’ house for my niece’s birthday, my hubby and I were able to make “home date” out of our lunch yesterday. With food that equaled that of the finest restaurants, we enjoyed a hearty meal that warmed and filled not just our stomachs, but also our hearts. My Valentine’s Day this year proved two points: a person can still surprise you after years of being together and you don’t always need fancy dates or special baking equipment to enjoy each other as well as really good dishes. So, what did you get for Hearts’ Day this year? What did you do for the people closest to your heart? Please share your stories with me. I’d love to hear them.